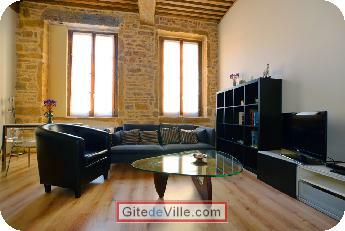 Self Catering Vacation Rental of 60 m² in Lyon for 3 peoples. A luxurious 55 sq.m. furnished apartment duplex with 1 bedroom. 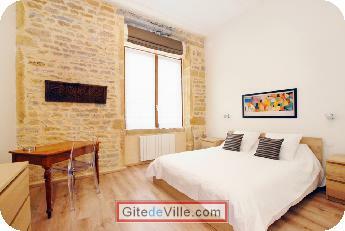 3-Star flat according to the criterias of the Ministry of Tourism. Panoramic view over the roofs of the Peninsula and on Fourviere hill. 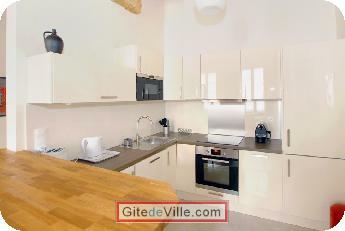 Large fitted kitchen (25 sq.m.). 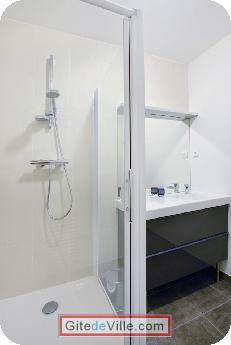 Bathroom: sink, shower with glass door, toilet. Lounge (20 sq.m. ): sofa (bedding 90*200), armchair (bedding 90*200). Bedroom (9 sq.m. ): double bed (160*200). Equipment: dishwasher, washing machine and dryer, LCD TV 32 inches (French & foreign channels over IP), Internet (DSL & Wi-Fi), DVD player, Dock for Smartphones, air conditioning throughout the apartment. On the 6th floor of a building with elevator. Private parking: extra 6 Euros / night or 30 Euros / week. 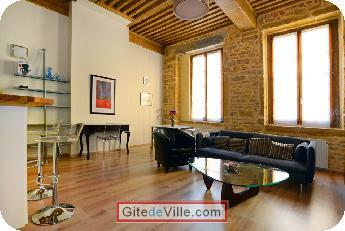 200 meters from Ampere Victor Hugo subway station (line A). 500 meters from Bellecour square. 600 meters from Perrache (TGV station, T1 and T2 tramway lines).